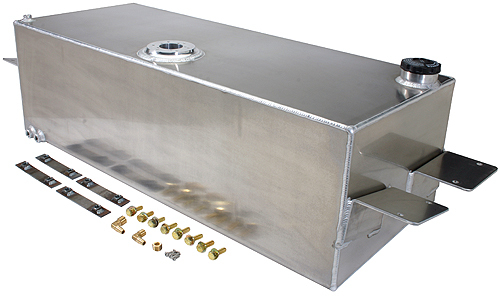 Tanks fit between the frame rails, are fully baffled and compatible with EFI or carbureted applications. Tanks are available in a bed fill flush mount, bed fill standard mount or side fill. All tanks are made from .126 5051 aluminum with .187 brackets & are the thickest on the market. Installs without having to move the crossmember. Sending units sold seperately.